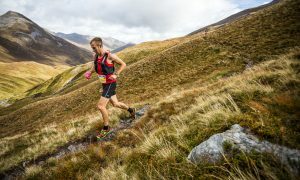 Orkney-based ultra marathon runner, William Sichel has announced a new, ambitious record project to cover the next 5 years of his extensive, ultra marathon running career. 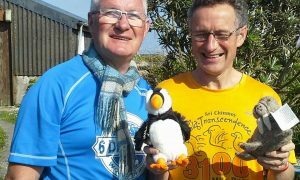 To be called Project165.com William will attempt to boost his current total number of records to 165 before his 65th birthday on October 1st 2018. These records will be at World, British and Scottish level, including age groups, in officially recognised races on road, track or indoor courses. 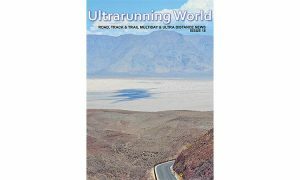 All races will have been officially endorsed by the International Association of Ultrarunners (IAU) or the National Athletic Federation of the host country concerned. Some of the over 60 records are incredibly hard whilst others are below William’s current level. For example the current world 24 hour, road record for the over 60s is a very strong 231km/143 miles. That is further than William has run for some years. However, the world 48 hour record on a road course is 329km/204 miles and this equals William’s current best performance. The world road record for the greatest distance run in 6 Days by someone over 60 is 705km/438 miles. William’s current road best is 834km/518 miles. William successfully achieved his previous Project 60@60 which involved setting 60 records before his 60th birthday, ten months ahead of schedule, setting the final two records in Monaco last November. Amongst William’s current records that he holds are seven world age-group records including the fastest time to run 1000 miles.